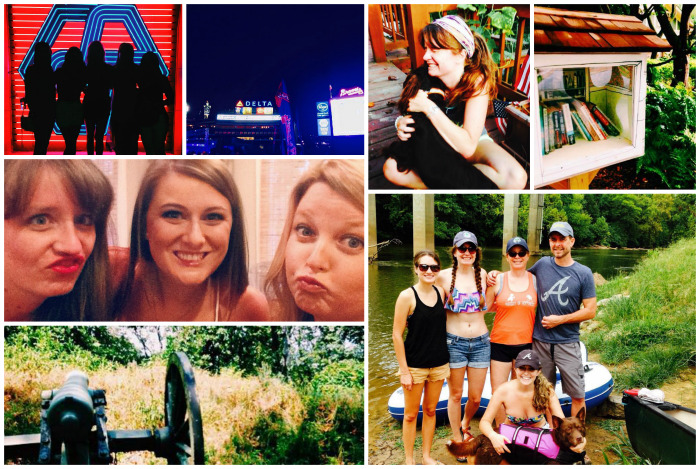 August might have been a slow blog month over here, but it wasn't that slow of an instagram month! I mean, it is already halfway through the month, so I suppose it's time we catch up! All sorts of adventures, climbing mountains, getting into a Little Trouble, post game concerts, puppy walks, saving the rivers, and tiny libraries! What did you get into in August? Did you do #EverythingAugust? I triiiiiiied to keep up!